Before you pick up a turtle you think needs help, before you contact us or another rescue ... please read over the information found on our Found A Turtle? page. Not every turtle is truly in need of being rescued. IF you pick up a turtle, please, please, please take note of the location where you found it. This is critical information for us and any other rescue if the turtle is able to be released once rehabilitated. 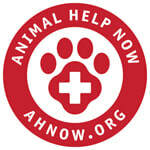 We have also put together a contact registry for Veterinarians and Wildlife Rescues located in Mississippi. Please note the following guidelines. We cannot drive to pick up turtles (or meet anyone) on Sundays. We have to have at least one full day at our home/facility to take care of the turtles already in our care, build/install new enclosures, and take care of our regular chores like mowing the lawn and laundry. If you have a turtle emergency during our "no go" hours, we will still gladly try to find a volunteer to help with transport. But you might want to be prepared to bring the turtle to us if a volunteer can't be found. We do most of our communications through Facebook. Sadly, the Pages Manager app leaves a lot to be desired. I rarely get notifications on my phone when someone has messaged us. Please do not use the 'Send a Message' on feature on Facebook if you are trying to reach us for help with a hurt turtle. It may be hours before we see it. If you have a turtle emergency, please see our page for Turtle Emergency and then call us at 601-672-1418. Please be patient with us. We are only two people with only one vehicle. We realize we're the only rescue in the state dedicated to turtles only. But we also can't be everywhere at once. And if we are constantly running a turtle ambulance service, then we are forced to neglect the turtles we already have here that depend on us to get them better. If you would like to contact us directly, we'd love to hear from you. The preferred contact method is by email or text. Using one of these two methods will ensure a more immediate response. Please read the Turtle Emergencies post for tips on what to do if you have an injured turtle or tortoise. ​If you are unable to contact us, or if you are not in the central Mississippi area, Animal Help Now is a fantastic resource for finding wildlife rehabilitators or veterinarians across the United States. There is also an accompanying app for both iOS and Android.